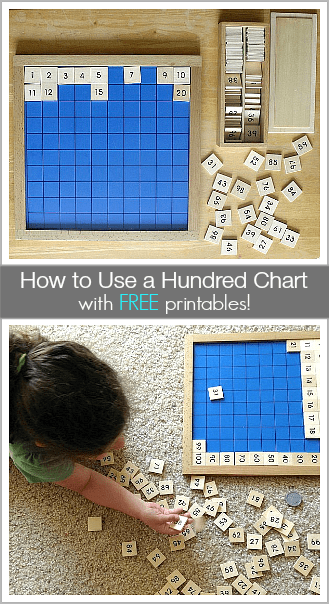 Keep on reading to discover activities to do with the hundred chart, as well as download a free printable hundred pattern book! 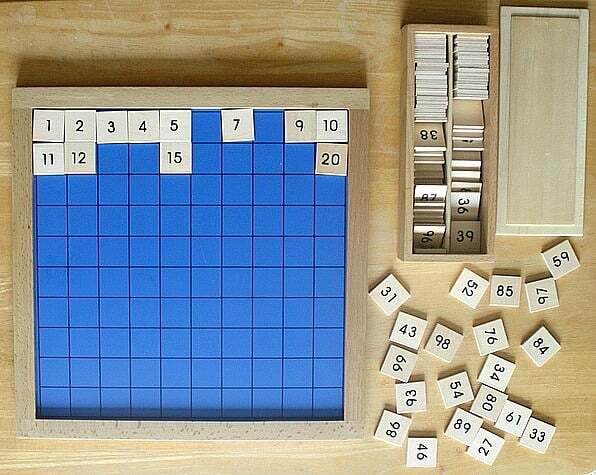 A hundred board is one of the best math resources you can have available for your child. 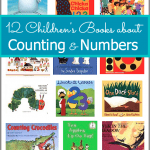 It can help with counting, number recognition, adding and subtracting, and even discovering number patterns. We bought Lucy this Montessori Hundred Board a few years ago, and it has been an amazing addition to our home! I love how it’s interactive and promotes hands-on learning. It’s made of solid wood which is one of my favorite materials for toys (not to mention being made of wood makes it very durable.) Lucy often pulls the hundred board out of the playroom just to sit and play with. 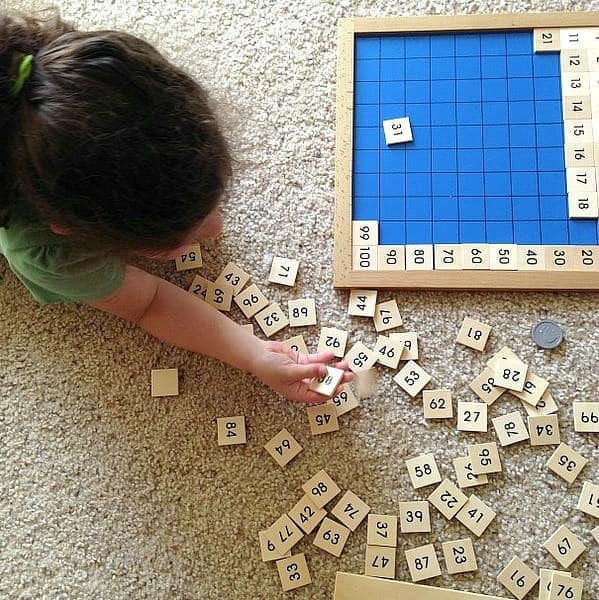 As she works on completing the board, she discovers patterns along the way! And sometimes I sit and do the board with her. I can help correct her if she reverses digits in numbers (like confusing a 42 with a 24) and help her discover even more patterns. I also like having a hundreds chart on paper for Lucy to easily refer to. (I’ve included a printable here so you can print out your own.) Sometimes Lucy likes to color it like a coloring page. Or sometimes she just likes to sit and count and point to the numbers as she goes. 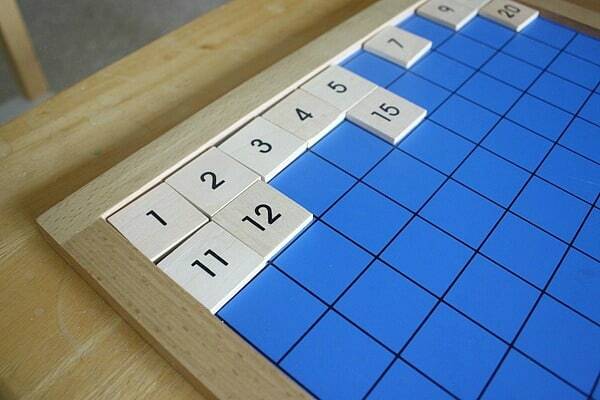 You can also cut your hundred chart into pieces to make a puzzle and have your child put it back together. It’s a great way to work on spatial awareness and recognize number patterns. 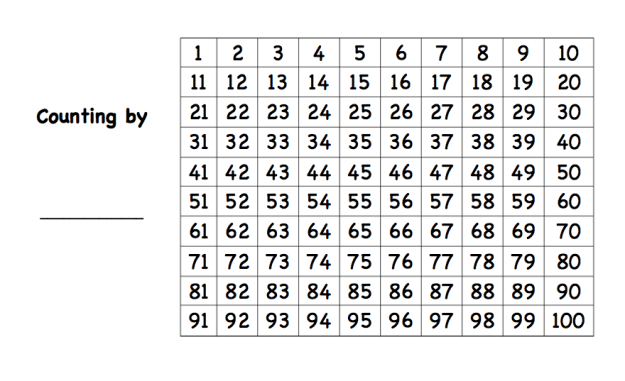 As the kids get older and begin skip counting, they’ll discover many more patterns on the hundreds chart. 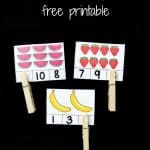 I’ve included a free printable below for a number pattern book your child can use to record all his or her skip counting pattern discoveries. For instance, when children color in the numbers they say as they count by 5’s, they discover the resulting picture is two columns. Counting by 3’s leads to a whole different pattern! 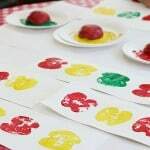 Allowing kids sit and discover all the patterns they come up with as they skip count by different numbers is such a beneficial and FUN learning opportunity. When they’re done, they can add this simple cover to the front and have their own pattern book! A hundred chart is just full of learning potential! 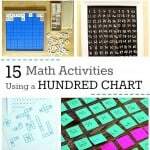 Here are other ideas I found online you can also do with a hundred chart. 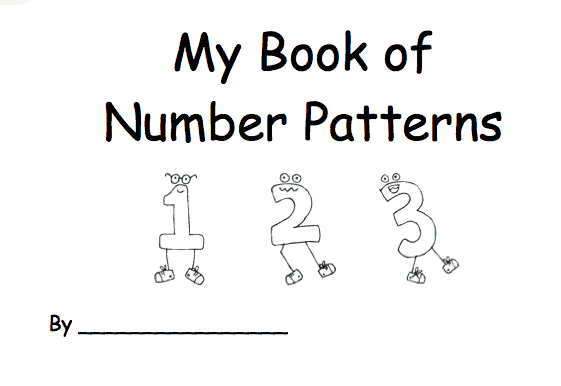 Use a blank hundred chart to find a pattern with your name. Use a hundred chart to practice counting coins. Here’s a fun (and free) online game using a hundred chart~ Give a Dog a Bone. 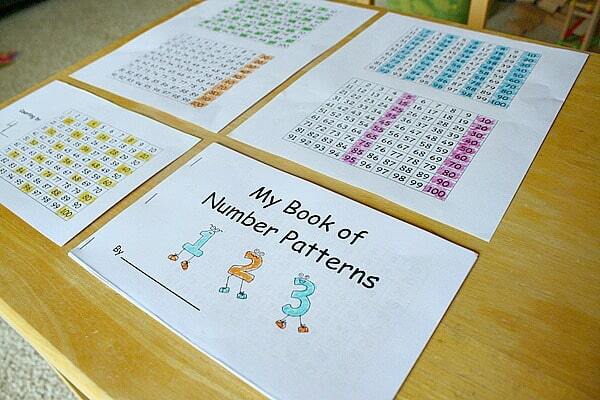 Here’s an online interactive hundred chart where your child can find number patterns and print them out. oooh what a great idea. My little boy loves numbers, I am printing these off now. Oh, so glad! Hope you find them useful! I completely agree as we have done similar activities. Unfortunately we never had the wooden manipulative, but I think it would be extremely valuable. I do have to admit the manipulative hundred chart has been nice. Lucy has loved using it off and on throughout the time we’ve had it. It’s one of those things I’ll probably keep for years. 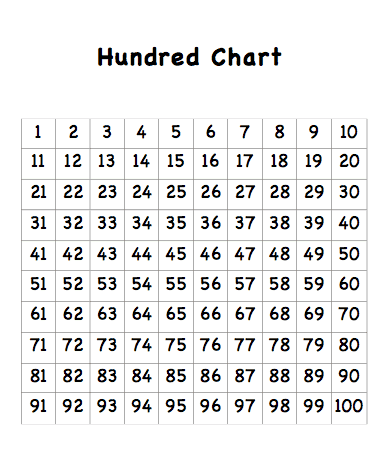 At what age did you introduce the 100s chart? I first brought it out when Lucy began counting. She must have been in the 2’s. I’d just pull out the numbers she could do at the time. She is such a visual learner (like me) and being able to see the numbers as she counted was so helpful. 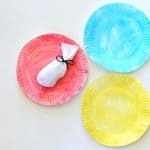 Thank you so much for sharing at Family Fun Friday at happyandblessedhome.com! Great post! Here’s an activity we did where we glued 100 items onto paper and counted them. What a great activity, Tara! Thank you so much for sharing! I always have print outs of 100 charts available too. 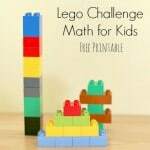 My youngest loves them for number patterns and times tables. I love how you use them for times tables! Great idea! 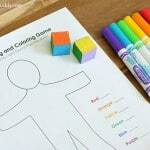 I think my kids are more visual learners like me, so having these available is so helpful to them. I love working with 100s charts. 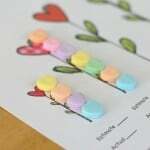 What great ideas to use… and I love the printable activities! Thanks for sharing at For the Kids Fridays. I am featuring you at this week’s party! Hope to have you share again soon at Sun Scholars. Looks like some great lessons. Thank you for sharing at Sharing Saturday!! What a great idea, Rebecca! Sometimes it’s hard to balance time with two kiddos! Hi there! I wanted to say THANK YOU for the printables. I am using this concept and printables in my Montessori certification work. My only alterations are the number four taught in Montessori AMS is different from the printable (as you can see on the sandpaper numerals) and I used the Montessori color code for the short bead stair. So, for counting by 2, we used a green colored pencil, for counting by 3, we used a pink colored pencil and so on. I love your blog! You do amazing work!! Thanks again!! A wooden manipulative makes for a wonderful teaching tool! I’ve been wanting a hundred board ever since you posted this, and finally got one this week. We’re really enjoying it! Thanks for alerting me to the fact that these exist, and for the great ideas about how to use it. LOVE! I am a resource room teacher and my 3rd graders are working on what multiplication means and 3rd, 4th, and 5th graders all need to work on fact fluency and skip counting, so this is PERFECT for them to have as a smaller resource, not so big. With my 3rd graders especially I’m going to introduce this slower. We will start with 1s and 2s, and then add pages on as we learn! Thank you for this freebie resource! This is such a great free printable for home school. Thanks so much for this! I am looking forward to using this!! Such a great post about the hundred board. I love the free printables. I’m featuring this post with one photo at http://everystarisdifferent.blogspot.com as part of a sequence activity round up. Thank you again for taking the time to share this with your readers! Thank you so much for sharing all these great activities. My 6 year old is struggling with skip counting and your little workbook is perfect for her to work on. She learns best when she can “touch, feel, see, write, colour” the numbers.